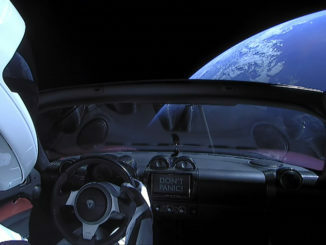 Even though it doesn’t obey any earthly speed limit and has a space-suited mannequin for a driver, Elon Musk’s Tesla Roadster won’t drive up his insurance rates anytime soon. 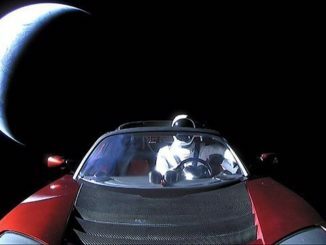 Researchers say the sports car won’t have a really close encounter with Earth until 2091 and could last millions of years before getting totaled in a planetary crackup. 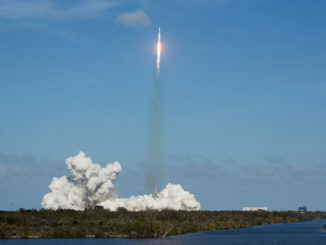 These additional views of the Falcon Heavy’s maiden liftoff from the Kennedy Space Center, and landing of its two side boosters at nearby Cape Canaveral Air Force Station, come from locations across the Florida spaceport. 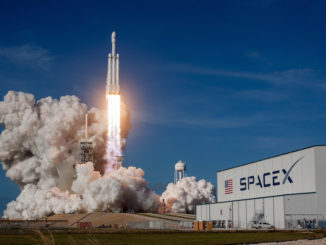 This up-close sequence of photos shows the Falcon Heavy rocket lifting off from pad 39A at NASA’s Kennedy Space Center in Florida with nearly 5 million pounds of ground-shaking thrust. 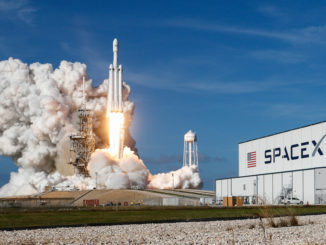 SpaceX’s first Falcon Heavy rocket powered off launch pad 39A at 3:45 p.m. EST (2045 GMT) Tuesday on its inaugural test flight, and we captured the launcher’s spectacular liftoff from the Kennedy Space Center’s Press Site around 3 miles from the pad. 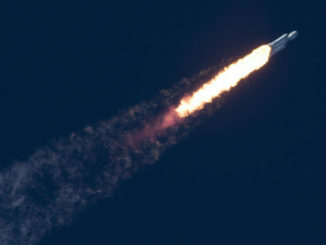 Now in an elliptical orbit around the sun, the Tesla Roadster launched atop a SpaceX Falcon Heavy rocket Tuesday during the powerful booster’s maiden flight was expected to pass beyond the moon’s orbit overnight Wednesday and reach the orbit of Mars in July as it puts Earth in its rear view mirror, analysts said. 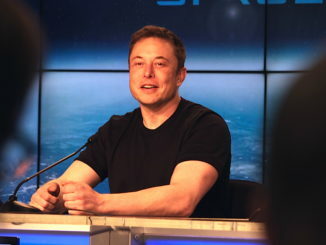 SpaceX founder and CEO Elon Musk briefed reporters on the status of the Falcon Heavy test flight, and several of the company’s other projects, shortly after the huge rocket lifted off from NASA’s Kennedy Space Center in Florida. 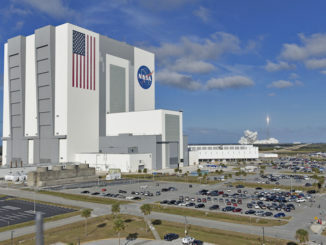 Rumbling into the sky from a historic NASA-owned launch pad, SpaceX’s Falcon Heavy rocket — the world’s most powerful present-day launcher — flew for the first time Tuesday, dispatching a road-worn electric Tesla sports car with a spacesuit-clad mannequin nicknamed “Starman” on an interplanetary journey that will reach beyond the orbit of Mars.